Traveling to Flagstaff this weekend, I counted 3 overheated cars on the side of the road. I don’t want to be one of those stranded motorists! 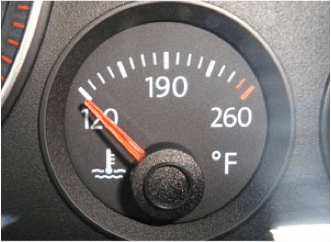 How can I prevent an overheated engine? If it does happen, what should I do? Besides air conditioning problems, overheated engines and coolant problems are one of the most significant summer heat issues. Your engine takes a lot of continued heating up and cooling down throughout the day. If just one part is not working properly, your engine can overheat causing many problems, not the least of which is costly repairs. Low coolant levels-It is the radiator’s responsibility to keep you engine working at an optimal temperature and it is the coolant that you put in that allows this to happen. Periodically check the coolant tank to make sure you have the right level of coolant. Only do this when the car is cool!! If there is no steam, pop the hood. If there is steam, wait until no more steam is coming out and then pop the hood. When the hood cools, open it all the way.